SPRING’S COMING – AND GROWTH | Connecting with You! In the 1979 classic, Being There, Chance, a simpleminded gardener who has resided his entire life in the Washington, DC townhouse of an unnamed wealthy employer and only been educated by television, is brilliantly played by Peter Sellers. Forced to vacate when the old man suddenly dies, wearing the deceased’s expensively tailored 1920/30s clothes, Chance wanders the unfamiliar streets. An accident leads to meeting Ben Rand, a business mogul and confidant/adviser to the president. His manners old-fashioned and courtly, Chance is presumed to be an upper-class, highly educated businessman, and mistakenly called Chauncey Gardiner. His simple words are repeatedly misunderstood as profound; in particular, his simplistic utterances about gardens and the weather are interpreted as allegorical statements about business and the state of the economy. President: Mr. Gardiner, do you agree with Ben, or do you think that we can stimulate growth through temporary incentives? Chance (After a long pause): As long as the roots are not severed, all is well. And all will be well in the garden. Rand: I think what our insightful young friend is saying is that we welcome the inevitable seasons of nature, but we’re upset by the seasons of our economy. President: Hmm. Well, Mr. Gardiner, I must admit that is one of the most refreshing and optimistic statements I’ve heard in a very, very long time. I admire your good, solid sense. That’s precisely what we lack on Capitol Hill. Later at Rand’s funeral, as the president shares an eulogy, Chance wanders off through the deceased’s estate. Straightening out a pine sapling, he then walks off across the surface of a small lake. A great-state-of-mind life for Christians comes from a mind set on knowing God’s will and following through on his directions – walking in faith, as it were, on the waters of confidently trusting him. Others are concerned by the economy and disastrous world affairs. On the other hand, quite a few people have been simply confessing, ‘Such a harsh winter…the weather has been so cold. Oh for summer and heat.’ Yet others hopefully state that it’ll be okay, spring is definitely coming. Some insightful Christians are agreeing that many churches need ‘a new spiritual spring’ and be more open to the Holy Spirit – the real gardener of the church. Chance’s simple response to many of today’s searching questions? There will be growth in the spring! After winter, spring is followed by summer – nothing can stop this happening (Genesis 8:22)! Applying Chance’s ‘insightful, optimistic statement’ and trusting Jesus, we have the hope of change because spring is coming, followed by a great summer in God. There’ll always be times when kingdom-centred Christians will be aware of news things ahead but not too sure exactly what. Sometimes it comes about when we’re going through some trail or difficult circumstance. So we wait patiently on the Lord, pray, suss things out, hang in there and trust the Lord. We ourselves have just been going through something like that and, to quote Chance again, because ‘the roots are not severed, all is well. And all will be well in the garden.’ That’s the key…being deeply rooted in Jesus and Bible truths! Jesus made some profound statements. In Matthew 13 and 15, he warned that we should have deep roots and, in John 15, urged us to remain rooted in him, the true vine, and bear much fruit. Paul wrote in regard to certain matters, ‘My prayers and hopes have deep roots in reality’ (Philemon 1:7Mge). This is our own personal reality, our roots – trusting in the Lord and obeying what he directs us to do. Seasons come and go. There’s a spiritual springtime coming that’s going to bring many blessings to all who are strongly rooted in Jesus, God’s word, prayer and trust. The word season indicates ‘a fixed time or an appointment’ and the Message Bible puts verse one this way: ‘There’s an opportune time to do things, a right time…’ Then he listed many things that have a season in God’s timing. Our seasons in God can simply mean that our time in a particular ministry, career, city… whatever … is up. That’s it’s time to move on. Over several decades now, we’ve felt this way at different times. Then, as we’ve searched God, direction, clarity, balance, wisdom and direction have come as we’ve waited on him. And we moved! Feeling that God has been endeavouring to speak to your heart regarding an opportune time – about moving into something new that you’re not quite clear on? You’re not alone! When God speaks to hearts about new things, some respond, ‘I’ve been feeling that in my heart.’ Others, over cautious, remained content with the status quo. But over the years many have moved willingly into new growth as God has provided opportunity to serve him more fruitfully. Spring is coming – even now the Lord is challenging certain followers to move on into new areas…career, locale and ministry. But are we willing to move, to trust and readily taking steps of faith with an awareness of God’s timing? Of course we need to know that we’ve really heard from him. We’ve had unsure Christians say, ‘You guys move in the prophetic…I think I’m meant to move on to (somewhere), do something new. Tell me that I’m right.’ We immediately ask if they have really sought the mind of God and the answer is usually ‘No.’ We’ll willingly pray, but tell them to seek the Lord themselves! We can’t afford to stab in the dark if we claim to have committed ourselves to him. ‘Seasons’ refer to an appointed occasion – not a willy-nilly, shot-in-the-dark, hope-it-works-out possibility. Solomon wisely advises: ‘Trust God from the bottom of your heart; don’t try to figure out everything on your own. Listen for God’s voice in everything you do, everywhere you go; he’s the one who will keep you on track.’ (Proverbs 3:5-7Mge). This means what it says… he will direct us in everything – if we commit all, everything, to him in faith and trust! Verse 23 gives comforting assurance: ‘You’ll walk safely, and your foot will not stumble.’ If we are willing to acknowledge God in absolutely everything, he will clearly lead us. At times we won’t get immediate directions … the dedicated Christian life is lived on a daily step-by-step basis. But virtually every day will present some opportunity to commit to God something either simple or involved – and discover his leading. 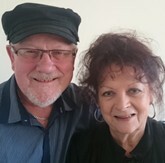 Over many years we’ve proven God in respect of his fatherly concern to lead us aright in every aspect of life…career, health, finance, schooling and careers for the kids, counselling troubled people, encouraging pressured ministers, home/car purchasing, little things, huge matters, new ministry and more. Sensing something is stirring within? Search the garden of your heart in case it’s merely some inner dissatisfaction that needs dealing with. If you really know that the Spirit is leading, keep searching God, read his word, be open to balanced sermons, talk with your pastor, if married prioritise talking/praying with your spouse and – without running after ‘some outside prophet’ – be open to prophetic words spoken over you in your local church. You may not walk on water but, with the leading of the great garden grower, the Holy Spirit, you can move forward into a new spring growth of trusting faith and satisfaction. Just make sure your roots in Christ aren’t severed.